Facebook is adding new features to its Messenger app. 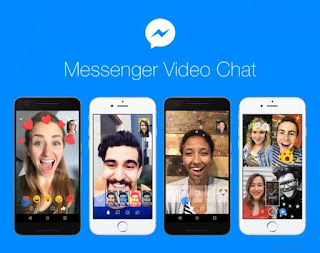 These features are set to be added today, and it focuses on the app's video chat functionality. Facebook is adding some new features on its Messenger app when making a video chat/call. The features include but not limited to new animated reactions, filters, effects and masks. You can now add effects, masks, filters and more animated reactions to your video conversations. You can even take screenshots while making video calls, both for one-on-one video call with your friend and/or group video chats. Animated reactions are just that - you choose one of Facebook's well-known reactions (love, "haha", "wow", sad, and angry) and that state of mind will then animate on screen, and differently depending on whether your face is seen or not. Filters are exactly what Instagram taught us they should be long ago before it was busy replicating every single feature of Snapchat. You can pick from a bunch of them in Messenger, and you get to test what each looks like before letting others see it. Masks are even "more fun" now, because you get new ones to pick from. Some even have hidden effects, like reacting to your facial movements. Animated effects like falling hearts and twinkling stars have been added too, and they behave like masks - they stay on the screen for the duration of the chat, unless you take them off or switch to another one. How do you see these features? Cool or not. Loooooool. So i will be video calling and be will now have time to be putting emoticons and smileys.... Nah.